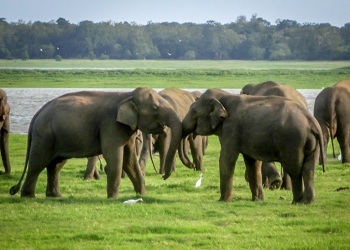 Witness the rich biodiversity of Sri Lanka with our especially designed wild life tour packages. A week’s stay in Sri Lanka will help you treat your eyes to the freely roaming herds of elephants, sloth bears and leopards in the Sri Lankan National Parks, coupled with fun and adventure of white water rafting in Kithulgala. Sri Lanka has several endemic birds, which we will help you spot in the forest reserves. 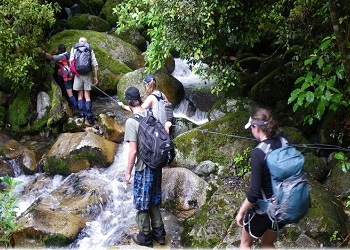 Your holidays in Sri Lanka would be full of adventure and thrill with a lasting memory. Upon arrival at the airport / or pre requested location in Colombo you will meet our English speaking guide. Thereafter you will travel to Negombo. After breakfast depart to Habarana. En route visit the Dambulla Rock Cave Temple. It is a UNESCO world heritage site that dates back to the 1st century BC. If time permits you can take a bird watching tour around the hotel. Stay in the hotel in Habarana. After an early breakfast visit the Sigiriya Rock Fortress which houses the remnants of an ancient Sri Lankan kingdom. 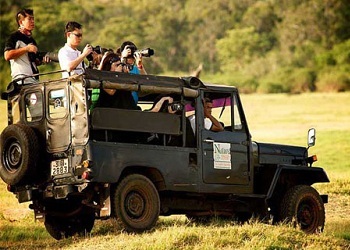 Spend the evening taking a Jeep safari at Minneriya/ Kaudulla National Park. Stay overnight in the camp site in Habarana. After breakfast visit The beautiful village Hiriwaduna . This journey allows you to understand village life as well as experience a bullock cart ride and even a catamaran boat ride. Then proceed to Kandy on the way visit spice garden at Matale. Once in Kandy witness a cultural show and visit the Temple of the Tooth Relic. After breakfast you will be transferred to Kitulgala. Have a walk through the Kelani Valley Forest Reserve. Cross a suspension bridge and enter the forest. Enjoy Bird watching and rock sliding. Stay overnight in the hotel in Kithulgala. After early breakfast go for white water rafting at Kithulgala. 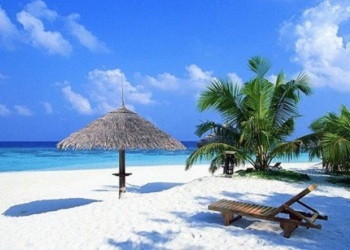 It gives the chance to enjoy the stunning tropical scenery of the region. White water rafting at Kithulgala is safe for even kids over 10 years in age. 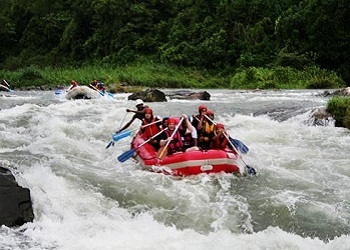 (Level 03 rafting is suitable for most people between the ages of 12 and 65 years). After all proceed to Colombo and relax at the Hotel. 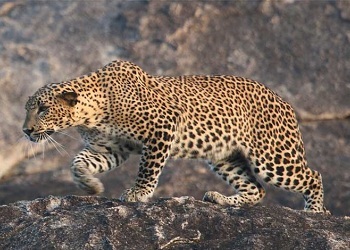 After breakfast head to the airport to end your wild life/ Adventure tour in Sri Lanka.